With the release of Honda Pilot in 2014, buyers looked a bit unsatisfied having nothing new in the release. Subsequently model faced a lot of criticism yet the hope remained that Honda will bring something exciting for coming year. 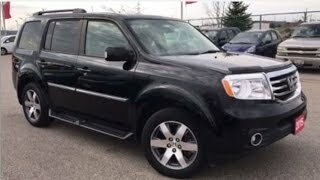 Moving ahead though there is no change in the model for 2015 but company gave a treat to its customers through the Honda Pilot 2015 special edition trim level. Let us have a close look at the entire review of Honda Pilot 2015. 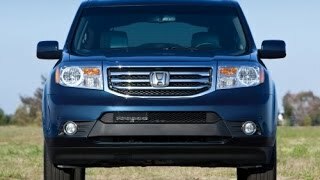 WHAT’S NEW IN HONDA PILOT 2015? First things first, the exterior of Honda Pilot 2015 is housed with new set of Pewter gray aluminum alloy wheels rolling the entire model. You can also notice Special Edition ‘SE’ badging over to mark the distinct and ‘feel special’ image while you drive all new Honda Pilot 2015 down the lane. The 2015 model is designed to bridge gap between the EX and EX-L trim levels. Looking at the roof you’ll notice a one-touch-open power moonroof with tilt feature that not just makes the exterior look great from top but also adds extra stars to the interior of Honda Pilot 2015. 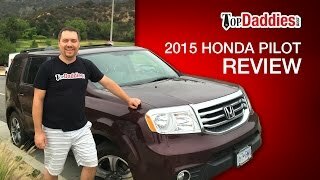 Talking about interior of Honda Pilot 2015 you might not find many changes but Honda DVD Rear Entertainment System and Sirius XM radio makes its unique from its lineup. As an additional touch to technology you also have remote entry and rear view camera. The Honda Pilot 2015 gets its power through a 3.5 liter i-VTEC V6 engine with Variable Cylinder Management and cranks total output of 250 hp and peak torque of 343 nm mated to five-speed automatic transmission with Grade Logic Control. The system helps in maintaining the appropriate gear while climbing or rolling down.